Yoga on the Sea Kayak trip will begin with morning salutations to the sun, awakening and energizing the body preparing for a day on the water. Each asana promotes flexibility, strength, balance and coordination. In the past yoga prepared one to sit for long periods of meditation. Our practice will help bring comfort and awareness for long seated periods in the kayak. Following a day of paddling, evening yoga will be a longer holding of poses to stretch out worked and stiff muscles, particularly the shoulders, hips, and legs with a calming flow and meditation to ease everyone to a blissful nights rest. Certified Yoga Instructor Sherrie Landriault from Inward Focus will be teaming up with Horizon Adventures to lead Hatha and Vinyasa Flow Yoga instruction. 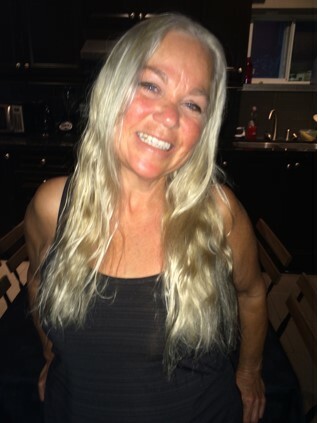 Sherrie has practised and instructed yoga for over 14 years and has worked with people at various ages and fitness levels, throughout The Greater City of Sudbury. Venus include: Health Science North, The Family Enrichment Center, YMCA Sudbury, The Greater City of Sudbury Leisure Services and all four School Boards. Sherrie has run many wellness retreats and work place wellness days as well as run her own private studio and private in office and home instruction. Once the Kayaks are unloaded we will take time for a stretch before we paddle. The weekend will include Hatha and Vinyasa Flow Yoga Asanas/ postures that will increase strength, flexibility and balance, body, mind and soul. Flexibility of schedule was great and I was impressed by the food. It was a great trip and we had lots of fun.